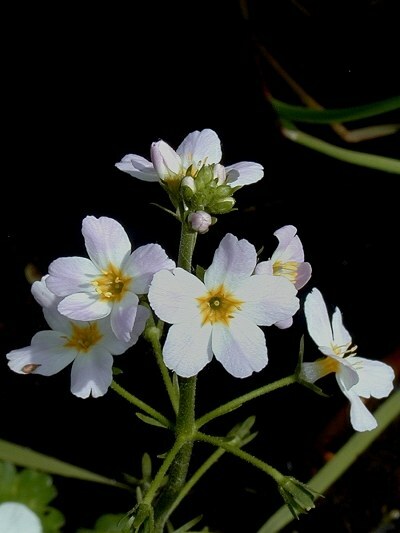 Description: Water Violet of the family Primulaceae is an aquatic plant. It is found throughout Europe. The basal roots are buried in the underlying mud while other silvery, shiny roots dangle freely in the water. The leaves are deeply divided as far as the central vein, like the teeth of a double comb, and are completely submerged, but if there is a drastic fall in the water level they can surface. The five-petaled flowers are light pink with yellow in the middle. It blooms from May to June. One internally retires, an isolated feeling of superiority.